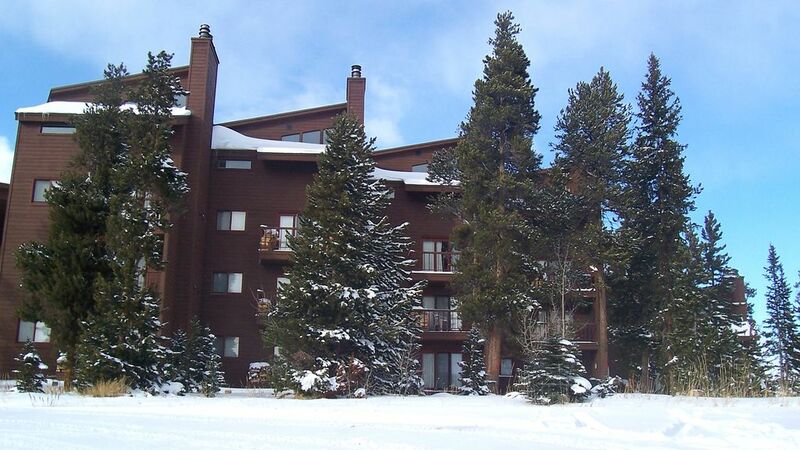 Our condo is located in the Snowscape complex of Wildernest in beautiful Summit County and is very close to all major ski areas (Keystone/A-Basin, Breckenridge, Copper Mountain, Loveland, Vail, Beaver Creek and Loveland). We are located in a beautiful mountain setting, just steps away from National forest land. Unlike a lot of condos in the Summit area, ours has a very spacious floor plan. The loft, accessed by a spiral staircase, gives this condo a total of 1466 square feet. The master bedroom and the 2nd bedroom on the main level feature queen size log beds with comfortable new cool gel foam pillow top mattresses from Old West Mattress Company. The loft features a twin over twin bunk bed and twin over full bunk bed, plus a twin bed giving a total sleeping capacity of 10. The master bedroom has it's own full bath, a second bath on the main floor is just across from the 2nd bedroom and a third full bath is located in the loft. Along with standard appliances, the kitchen also features a microwave, coffee pot, blender, crock pot, skillet and a variety of pots, pans and utensils. There is a 46 inch flat screen TV with Blu-Ray player in the living room plus a 40 inch flat screen TV with DVD player in the loft. Just across the parking lot is the clubhouse which features a pool, hot tub, sauna and game room. Our house rules include no pets and no smoking (rules apply to us too!). From our balcony you have a great view of the mountains yet access to the condo is close to Interstate 70. CHECK - IN TIME IS 4:00 P.M. CHECK - OUT TIME IS 10:00 A.M.
My dad was a retired Business Manager (small Christian college in Kansas) so managing a condo in Colorado was somewhat like an extension of his career - managing property and working with people. He enjoyed the contacts with a variety of people over the years - he must have done something right as he had many return guests each year. Now, the reins have been handed over to me. I am a Realtor in McPherson, Kansas, where I grew up. I look forward to working with you as you plan your trip to Colorado! I can remember many family trips to our Colorado condo. Of course, most of those trips were in the winter to ski. But we also went in the summer to enjoy hiking, biking, boating, outdoor concerts, riding the Alpine Slide and more. Now, as a father myself, I enjoy bringing my children out to enjoy this area. I will do my best to help you and your family have a great stay in our family condo! A unique feature of our condo is the large loft area which provides several extra beds plus a separate hangout for the kids, complete with flat screen TV and DVD player. There is ample off-street parking right next to the building. There is a dining table plus an eating bar. There is a 46" HDTV with a Blu-ray player in the living room and a 40" HDTV with a DVD player in the loft. There is a Blu-ray player in the living room and a DVD player in the loft.